Are you a busy woman who has trouble keeping up with herself? If so, join the club! Most days, women deal with constant pressure to please, perform, and produce, and therefore we are constantly driven further and further away from our true identities. ...then look no further. 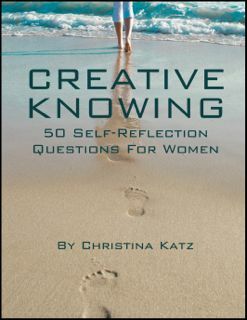 Creative Knowing, 50 Self-reflection Questions For Women is a simple, direct route back to being in touch with the wants and needs of your most creative self.